The close relationship between Sweden and the USA should make Julian Assange, the founder of WikiLeaks, wary of a possible extradition to the United States, according to Professor Inderjeet Parmar of City University London. It follows recent reports stating that Mr Assange, whose organisation leaked hundreds of thousands of secret US embassy cables to the world's leading newspapers in 2011, has agreed to meet Swedish prosecutors in the UK. The Australian activist has been taking refuge in the Ecuadorian embassy in London since June 2012 to avoid extradition to Sweden, where he is wanted for questioning about two alleged sexual assaults in 2010 - which he denies. Professor Parmar, Head of the Department of International Politics at City, included a chapter on WikiLeaks in his recent book on US foreign policy Obama and the World, which he co-edited with City Research Fellow Dr Mark Ledwidge and Linda B. Miller. He said: "Given Sweden's close relations with the United States, despite its pacifist, peaceable image, and violations of Swedish legal and police procedure in pursuing the case against Julian Assange, there is sufficient cause for the founder of the WikiLeaks organisation to worry that the Swedes would quite easily be persuaded to extradite him for prosecution in the USA, with the possibility of being tried for a capital offence. “Sweden contributes military forces under US-NATO control in Afghanistan. It contributed military assistance during the Libyan intervention. Its ministers report regularly on military and intelligence matters to the US embassy. And its Afghanistan-based aid agencies supply intelligence to the United States on a regular basis. “It collaborated with the United States on extraordinary rendition by the CIA of people who had applied for asylum to Sweden. And Assange's WikiLeaks website exposed a whole range of US-Swedish cooperation that did not reflect well on Sweden's global image as ‘a good state’. “A country that is so close to the United States may be likely to extradite Assange. If that is assumed, then the violations of police and judicial procedures during the early part of the investigation of Assange's alleged sexual assault of two Swedish women – which he denies – acquire an essential political context that appears lacking in most mainstream analyses of the matter." Professor Parmar said that irregularities in Swedish legal processes had been highlighted by Sven-Erik Alhelm, the former Stockholm District Prosecutor. “At the very least, there are grounds for Assange credibly to claim that he is unlikely to be dealt with fairly in Sweden," said Professor Parmar, "and, at worst, to be handed over to the US for prosecution for the most heinous of crimes – leaking official information on how American power really works." The academic added that former UK Foreign Secretary William Hague offered a "thinly veiled threat" to send in police to arrest Assange from within the Ecuadorian embassy in London, describing this as "reminiscent of the sort of gunboat diplomacy British imperial rule was built upon, with scant regard for international law". He said: "It demonstrates that Hague, in citing a 1987 UK law passed after the shooting from the Libyan embassy of a police woman, considered Assange a terrorist, just as much as many leading American politicians did, and do, for leaking to the world's public information vital to understanding the nature of US power. "Indeed, the secret US embassy cables showed, among other things, that Hillary Clinton, Obama's former Secretary of State and current favourite for the White House in 2016, ordered the CIA to violate the Vienna Convention to gain private information on UN diplomats and representatives. 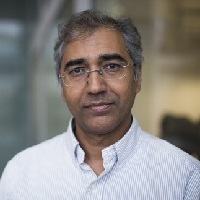 Professor Inderjeet Parmar is among the City experts providing media commentary on the UK General Election in the build-up to 7th May. Visit the City University London General Election 2015 microsite for featured academics and more information.